This video is part of the appearance, “Datto Presents at Tech Field Day Extra at VMworld US 2015“. 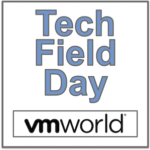 It was recorded as part of Tech Field Day Extra at VMworld US 2015 at 14:30-15:30 on September 2, 2015. Austin McChord, Founder and CEO, demonstrates the recovery capability of Datto by destroying one of their units with thermite and recovering the presentation from a backup.